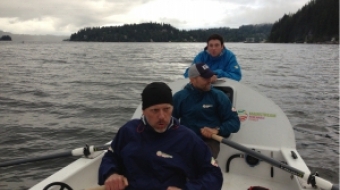 At the Tuesday race at Deep Cove, the team rowed about 11 km/hour. In the Arctic, they could average about 3 km/hour. They will row 24/7 through the endless days, probably in four hour shifts.